California Lottery, sometime addressed as California State Lottery started in 1985. Lottery was legalised in California in the year 1984 after the Californian voters came together to vote the amendment to pass. The motive behind California Lottery is to contribute money to school without having to increase taxes. It was agreed that at least 34% of the lottery.s revenue should be provided for education in order to add to California government.s existing funds. It was also assured that 50% of the lottery.s revenue would be provided as prizes. This means that a total of 84% is given back to the public. The remaining 16% of California Lottery revenue can be used towards internal needs. This has subsequently changed to 87% and 13% respectively of California Lottery revenue. The amount for each prize in California Lottery is determined by pari-mutuel method. Only people above the age of 18 are sold tickets or are permitted to claim prize money against the winning tickets. California Lottery is very transparent on its objective of funding schools and colleges. With the change in the funding procedure in April 2010, there was an increase in sales which helped them to earn more money and bestow funds to schools in the form of prizes and contributions. California Lottery solemnizes its assurance in maximising funds to education by enhancing the industry. California schools get an amount of $1 billion of funds from lottery every year. 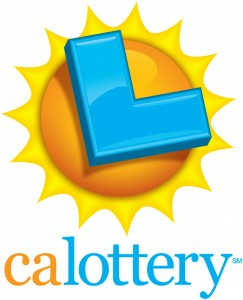 How to play California Lotteries? In California Lottery, there is a category of games called the draw games where the tickets have to be purchased in advance and a RNG (random number generator) picks the winner. It may be noted that California Lottery Mega Million and California Lottery Super Lotto Plus do not use the RNG (random number generator). In California Lottery Daily 3, you have to choose 3 single digit numbers from 0 to 9. You will also be provided 3 play styles to choose from. In case you are unable to decide the 3 digits, you can choose Quick Pick to have the numbers picked, where the computer decided your numbers randomly. You will have to pay only $1 for each play or each draw. You have a facility to play 14 successive draws. This facility is called Advance Play. There are draws every day, in the afternoon 1.29 pm and in the evening at 6.59 pm. In California Lottery Daily 4, you have to choose 3 single digit numbers from 0 to 9. You will also be provided 3 play styles to choose from. In case you are unable to decide the 4 digits, you can choose Quick Pick to have the numbers picked, where the computer decided your numbers randomly. You will have to pay only $1 for each play or each draw. You have a facility to play 14 successive draws. This facility is called Advance Play. There is a draw every day. California Lottery Daily Derby is related by name, to the concept of horse races, the only difference being there are no actual horses here. You have to place your bet on 3 horses where 1 horse each is to win the 1st, 2nd and 3rd place respectively. You are also supposed to choose a time parameter for the race between 1:40:00 to 1:49:99. You need to mark the last three digits of the time you have chosen on the playslip. In case you are unable to choose the above on your own, you can use Quickpick. You have a facility to play 14 successive draws. This facility is called Advance Play. You will have to pay only $2 for each play or each draw. There is a draw at 6.35 pm daily. The same is televised at 6.59 pm the same day. The player should select 5 numbers from 1 to 39 in California Lottery Fantasy 5. Five sets of numbers are included in Fantasy Five with 12 drawings. You have to pay $1 for each play. At 6:35pm, Fantasy 5 is drawn and broadcast at 6:59pm. California Lottery SuperLotto Plus is the only game played similar to Mega Millions. There is a draw on every .Wednesday and Saturday. The jackpot is $7 million. Out of 47 balls, five numbers are chosen. Out of another 27 balls, a Mega Number is chosen. The gold-colored ball in Mega Millions should not be confused with Mega Number. In California Lottery Mega Millions, from two different groups of numbers, you need to select any 6 numbers from 1 to 56 and other from 1 to 46. If six numbers match, you win the jackpot. In California, prizes are pari-mutuel which means the payouts depends on the quantity of tickets sold and within that, the quantity of tickets have won the games. You can claim your prize from either modes of payment. One is annual payment where you will be provided in 26 annual payments and the other is cash payment where full amount is paid. On Thursday morning, November 29th, 2012, California Lottery Commission approved to join multi-state Powerball with unanimous votes. 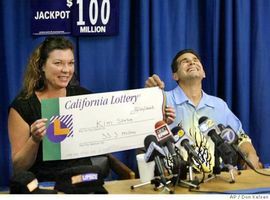 California Powerball ticket sales will start in April, 2013. Powerball is an American popular lottery game offered in 44 member states as a pari-mutuel jackpot game. To play Powerball, select 5 numbers from a set of 59 then select 1 Powerball number from 1 to 35. The minimum Powerball advertised grand prize starts at 40 million dollar. Its annuity option is paid in 30 yearly increment payments. Winners may select one-time lump sum cash payout instead. Hot Spot is a California Lottery quick-draw game. You have to select any quantity of .spots. from 1 to 10 from the numbers 1 to 80. For 10 spot play, prize of $100,000 is extended. Earlier, players were allowed to select only few spots which were 2, 3, 4, 5 or 8. For 100 successive draws, cost ranges from $1 to $20. You are also given chance to select for each draw, 1 number from the 20 numbers that are drawn. This number is known as Bulls-Eye. Everyday drawings are conducted at 6:04 am to 2:00 am. Hot Spot drawings are shown on the monitors with the Lottery retailers. The scratch cards are sold with the name "Scratchers". When compared to other lottery games, the prize for California Lottery Scratcher is low. Prizes should be claimed within 180 days when it is announced. The prize of the Scratchers ranges from $1 to $10. California Lottery is known for its fast development in the field of Lotteries in United States. The most impressive part is that in the year 2011-12, California Lottery funded about $1.32 billion to schools and colleges. California Lottery reached record sales of $4.37 billion with a boost of $900 million. If you play the California Lottery, it is the children of California who will be benefitted. CALOTTERYX.COM provides comprehensive coverage of California lottery including latest drawing results, past winning numbers, lottery news, payout information, jackpot analysis and a series of lottery number analysis tools, combination generation tools, including Intelligent Combos, Power Picks, Win Checker, Lotto Wheels, Overdue Chart, Frequency Chart, etc. These tools provide California lottery players the edge to win!